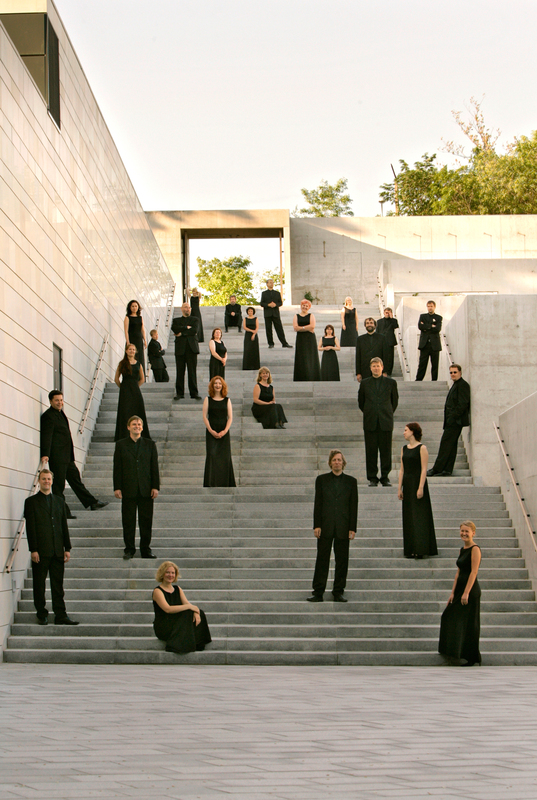 The Estonian Philharmonic Chamber Choir performed Wednesday night at St. Ignatius Church. Photo by Kaupo Kikkas. Sacred Music in a Sacred Space is a concert series that does exactly what it says, producing concerts of sacred music in spaces for religious practice in New York City. Wednesday night, the series welcomed the Estonian Philharmonic Chamber Choir, led by artistic director and chief conductor Kaspars Putnins, and joined by organist K. Scott Warren as accompanist and soloist. This choir is the foremost interpreter of Arvo Pärt’s sacred choral music, and they sang a concentrated selection of Pärt’s music Wednesday night, with Warren accompanying them in two works and playing the solo organ piece Annum per Annum. The concert was an ideal realization of the series’ concept (the Arvo Pärt Project at St. Vladimir’s Seminary was co-presenter). The combination of Pärt’s music and the handsome, vaulted, resonant interior of St. Ignatius church was so seamless, the setting so appropriate, that the audience held their applause through the first six pieces (out of nine). The musical subjects and soft, focused beauty of the singing made for a ceremonial feeling, a liturgy over and above what is found at the church. Except for a dozen latecomers and the yammering of a few well-dressed couples, the audience was not just listening respectfully but involved in the experience. The choir sang seven of Pärt’s sacred vocal works, including his exceptional Magnificat and Nunc dimittis. Under Putnins direction, the choir sang with a shimmering, warm blend of voices and the pure tonal beauty that is their trademark sound. Whether singing Latin or English text—as in The Woman with the Alabaster Box—their consonants were soft and their vowels rounded, while every phrase was smooth, naturally aspirated. Even the quietest sounds carried and penetrated in the church’s resonant space, and this was excellent for the music. Pärt is often best experienced via recordings—and the Estonian Choir has made some of the finest recordings in his discography—where a stereo system or headphones can deliver presence without undue volume and the documented performance has been perfected through studio practices. In St. Ignatius, the Estonians sang with easy mastery, and their voices penetrated effortlessly, the music full of presence and illumination while staying mostly in the range of piano to mezzo forte. Pärt doesn’t persuade, he presents, and the Choir served this beautifully. After the choir opened with the apt Solfeggio, Warren joined the ensemble for The Beatitudes—he also accompanied the closing, glowing performance of Salve Regina. As the voices fit wonderfully well into the space, so too did the great organ. At the front entrance, and thus behind the pews and in a high balcony, distance kept it from being overpowering. The church’s resonance carried quiet pedal tones through the floor and into the body. In The Beatitudes and Salve Regina, the combination of choir in front and organ in back was ravishing. St. Ignatius’ organ is a majestic four manual, 68-stop, 91-rank instrument that, according to the church, “is the largest mechanical action organ in the New York metro area.” Against the pure, rich sound of the choir, Warren used the organ to produce a dazzling variety of sounds, from a rounded flute tone, to something like murmuring violas, to a fascinating and tonal wheezing sound. Mechanical action means that touch is an expressive component in a performance, and Warren’s playing kept rhythms and counterpoint clear. Annum per Annum begins with an extroverted fanfare, that slowly fades through a diminuendo. With this organ, Warren stretched the passage out to a substantial length. As the volume went down, so did the pitch, which not only bent downward but seemed to break into granules—the music seemed to both evaporate and disintegrate in an uncanny way. From a certain frame of mind, the moment could be heard as demonstrating that matter and spirit are one, an intriguing argument to make in such a setting. But music is spirit that touches the body, and Wednesday the musicians and Pärt reached the audience with warmth and comity.